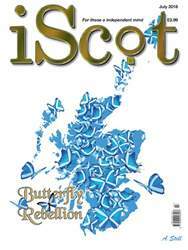 A NEW PHENOMENON is sweeping Scotland, and indeed the world! 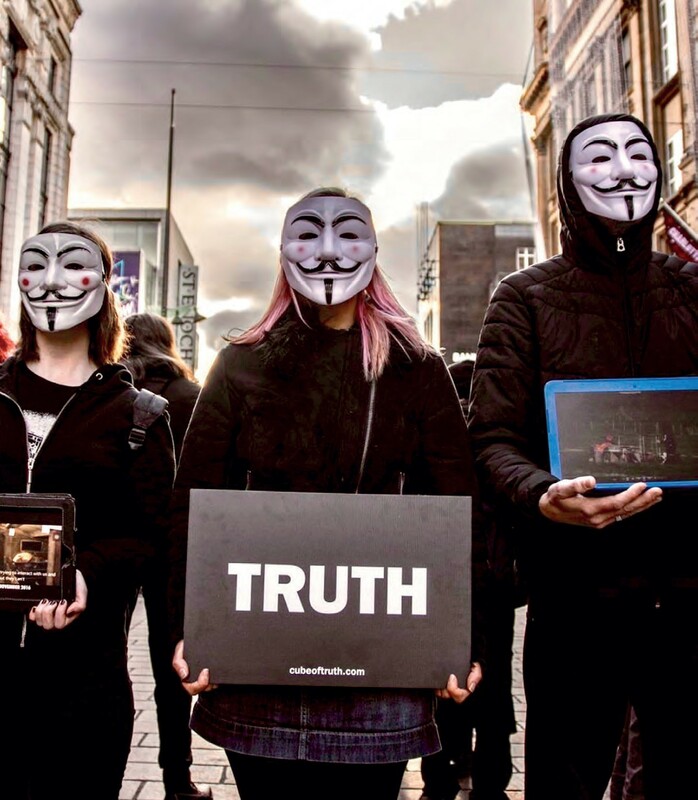 Already the Cube of Truth is a regular occurrence in Glasgow and Edinburgh, with new Cubes springing up in Aberdeen, Ayr, and Stirling. Even Inverness has its own Cube of Truth on the horizon. You will recognise a Cube of Truth when you find one, by the silent upright figures, heads held high, dressed in black, and wearing the Activist symbol, the Guy Fawkes mask. Some figures hold laptops or large tv screens, showing constant, soundless footage, while others hold a black sign saying simply ‘Truth’.